Roman Catholic Pope Francis prayed for the victims killed in a Friday terrorist attack in Upper Egypt's Minya, Vatican News reported on Sunday. 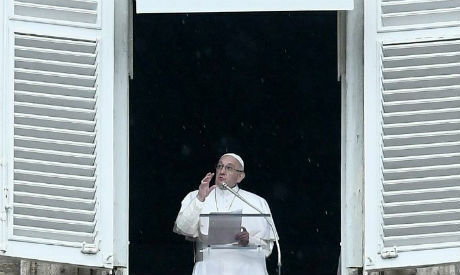 Following the Angelus prayer to the faithful in Saint Peter's Square, he recited the Hail Mary and asked Mary Most Holy to console the families and the entire community. On Friday, gunmen attacked a group of Christians returning home by bus from the Monastery of Saint Samuel the Confessor in Upper Egypt's Minya.